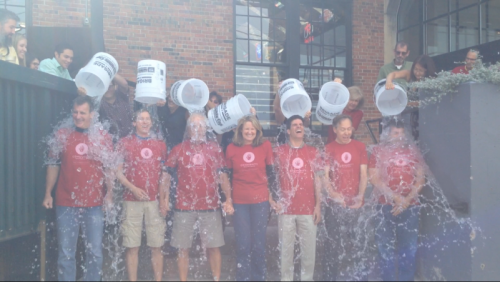 On 8/29/2014 the Principals at Davis Partnership Architects were challenged to the ALS Ice Bucket Challenge by the Saint Joseph Heritage Project Design Team as they were challenged by Mortenson Construction. 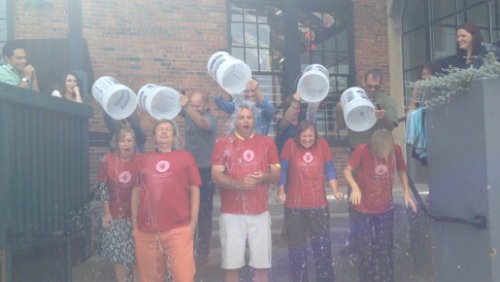 The Principals then raised money for ALS and were drenched with buckets of icy, icy water. However the buck did not stop there! No, the Principals quickly challenged the Associate Principals who were also soaked in icy H2O goodness. Now the Associate Principals have challenged HW Houston Construction and we look forward to more good natured shenanigans for a great cause! You can see the videos + photos on our Facebook Page here.